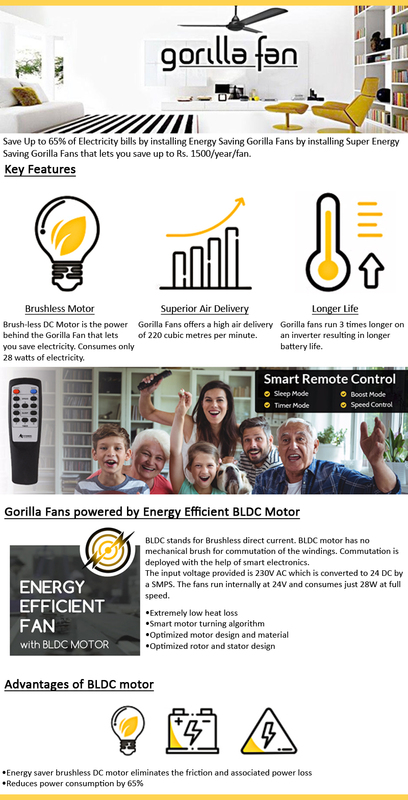 Gorilla Is India's Most Energy Efficient Ceiling Fan And Consumes Just 28W At Full Speed. It Also Comes With A Smart Remote Which Has Speed Control, Timer And Sleep Mode. 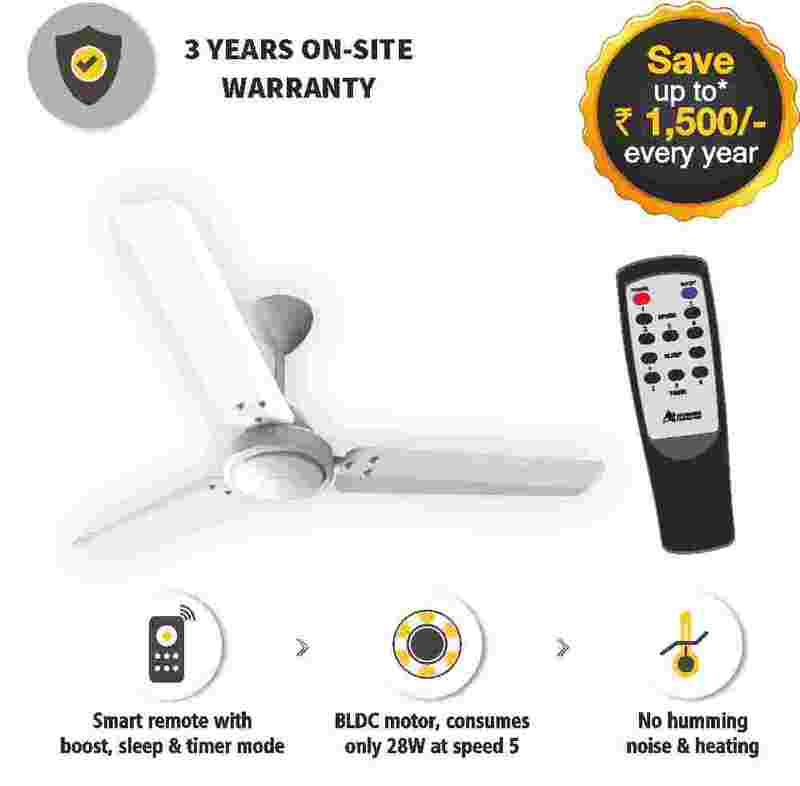 You can save upto Rs 1500 per year depending on your usage when you compare it to a 75W induction based fan. This Warranty covers the motor and other components of your Gorilla ceiling fan against all defects in workmanship & materials. Costs incurred in removal or reinstallation of the product is borne by the customer. You must be the original purchaser or user of the Product to be covered.